The dedicated staff at the Law Offices of Russell D. Bernstein, P.A., The Legal Helpline-A Private Law Firm recognizes that being accused of or arrested for a crime can change your life overnight. Our founder, South Florida criminal defense attorney Russell Bernstein, has been providing smart legal advice and dedicated representation to clients who have been accused of breaking the law for over a decade. We offer high-quality legal services at reasonable rates for traffic violations and a broad range of criminal charges such as DUI (drunk driving), battery and spousal abuse, juvenile crimes and drug trafficking. To discuss your case in a free and completely confidential consultation, please contact our offices in Coral Springs and North Miami today. 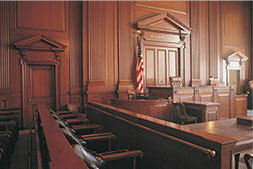 Before you pay a traffic ticket, consult an experienced lawyer. Paying a ticket is essentially pleading guilty to breaking the law and can increase your insurance rates and even result in a suspended driver's license. We will work to keep points off your record. If you have been arrested for DUI, contact an attorney immediately. You have 10 days to request an administrative hearing to fight a suspended driver's license. We will work hard to help you obtain a hardship license to drive to work or school. If you are charged with a crime, it is extremely important to talk to your lawyer before you answer any questions or volunteer any information. Our staff is available 24 hours a day to answer your questions and get you the legal representation you need.